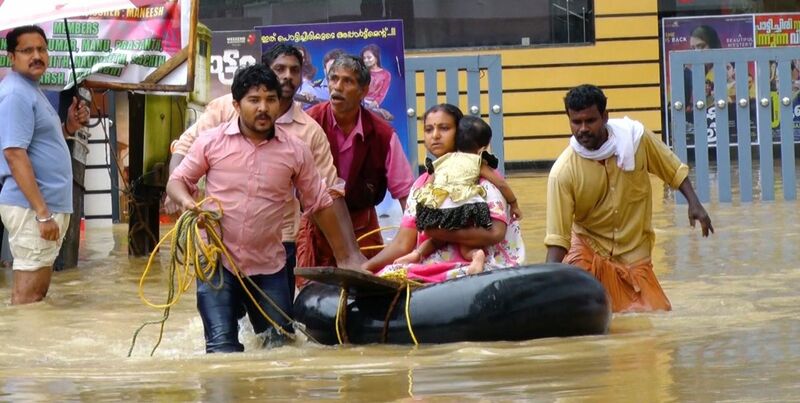 The one-hour special documentary Kerala Floods – The Human Story on Discovery Channel is a poignant take on the indomitable spirit of Kerala who instead of losing hope, are steadily working towards rebuilding their beloved state. The documentary is a celebration of the spirit of survival in the face of disaster; viewers will get to witness incredible stories of people coming together to help those in need – from fishermen turned rescue operators to the defence forces who provided aid, from actors who worked alongside NGO workers to get supplies to those in need to young entrepreneurs who devised ways to connect people at a time when the apocalyptic rain fury just refused to die. The documentary also features the story of Sajitha Jabil who was just three days away from her due date, her labour pains had intensified, and water levels were still rising. She was airlifted in one of the most dramatic rescues of Indian Navy’s Operation Madad. By the afternoon, baby Subhan was in her arms unaware of the many storms his mother braved to bring him into this world. This one-hour special documentary will be broadcast on Monday, November 12, 2018 at 9 PM, only on Discovery Channel. It all began on Independence Day this year, when Kerala started experiencing an extremely heavy downpour. Little did the inhabitants of the state know that soon they were going to witness the worst deluge Kerala had seen in almost a century. In over eleven straight days of intense rainfall nearly 25 trillion litres of water fell on Kerala, a state with one of the highest density of population, 44 rivers and 61 dams. Water is a lifeline, defining not just Kerala’s geography but its history and economics as well. The watery abundance gives it life and sustenance. The biggest flood in almost a century devastated most of the state. God’s own country will need to rebuild 218 bridges, nearly 35,000 kilometres of local roads, an estimated 174,000 houses. Agriculture crops in over 46,000 hectares was destroyed. The loss because of the floods has been estimated at INR 40,000 crores.